I believe the ”experts” got it all backwards. I believe life can be lived with ease and joy. I believe we don’t need food rules. I believe ”break all the rules” should be the only rule. I believe the idea that ”you’re a food addict” keeps people stuck and feeling hopeless. I believe you don’t need help. I believe ”support groups” perpetuates the idea that there's a problem that needs fixing. I believe what will set you free is seeing a bigger truth about who we are as human beings. I believe the path to food freedom is a journey within. I believe we are powerful beyond our imagination. I believe no diet or food plan will fix you. I believe your problem with overeating is not about the food. Because it was never about the food. I believe a simple understanding of how the brain works changes everything. I believe understanding how the human experience works changes everything. I believe there is a simple (but not always easy) way out. I believe you have to be willing to look in a different direction. I believe you already have everything you need to have peace with food. I believe everything you’ve been looking for is right there, within you. 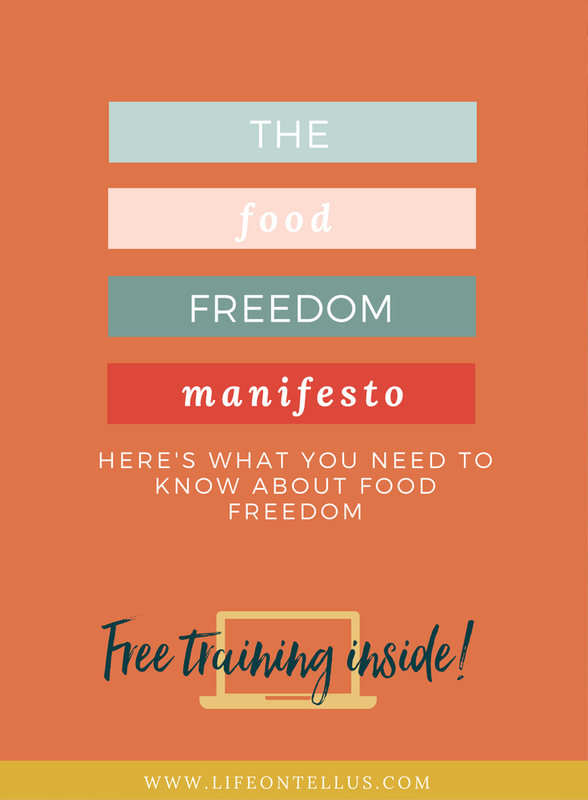 I believe there’s nothing outside of you that needs to change or be different in order for you to have food freedom. I believe nothing is wrong with you. I believe you were never broken. I believe I can show you the way home. To your place of peace and resilience. To the place where you’re unbreakable. To the place where you’re OK. To the place where you’re more than OK. To the place where you’re a badass. I believe there are no outside triggers. I believe ”trigger foods” is an illusion. I believe that you and I are the same. I believe if I can do it, then so can YOU. I believe that if I can walk away from the struggle with food and find my inner power, then so can you my friend. So can you.